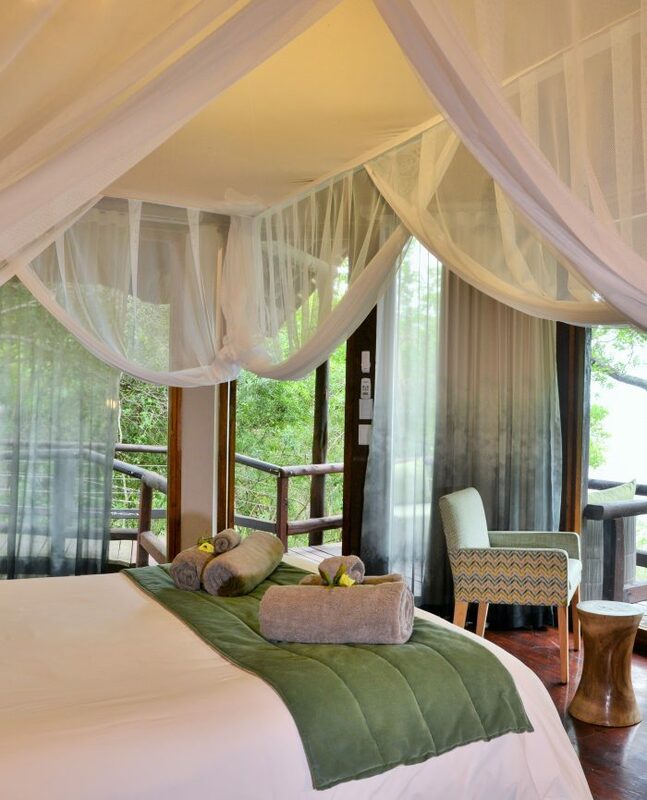 Overlooking the incredible World Heritage Site, the iSimangaliso Wetlands Park, experience relaxation and solitude in one of our beautifully appointed timber chalets. 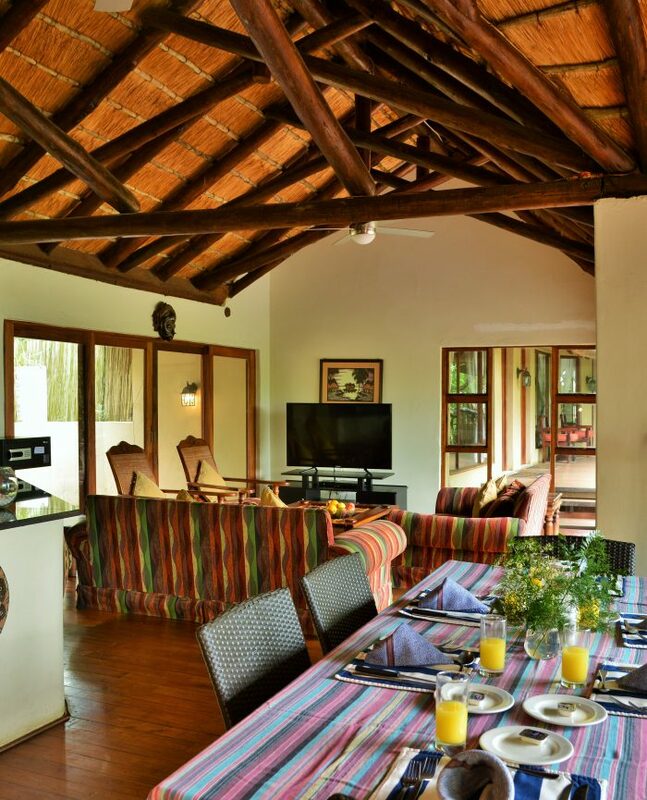 Nibela Lake Lodge is comprised of eleven timber chalets nestled in amongst the forest that borders the St Lucia estuary. 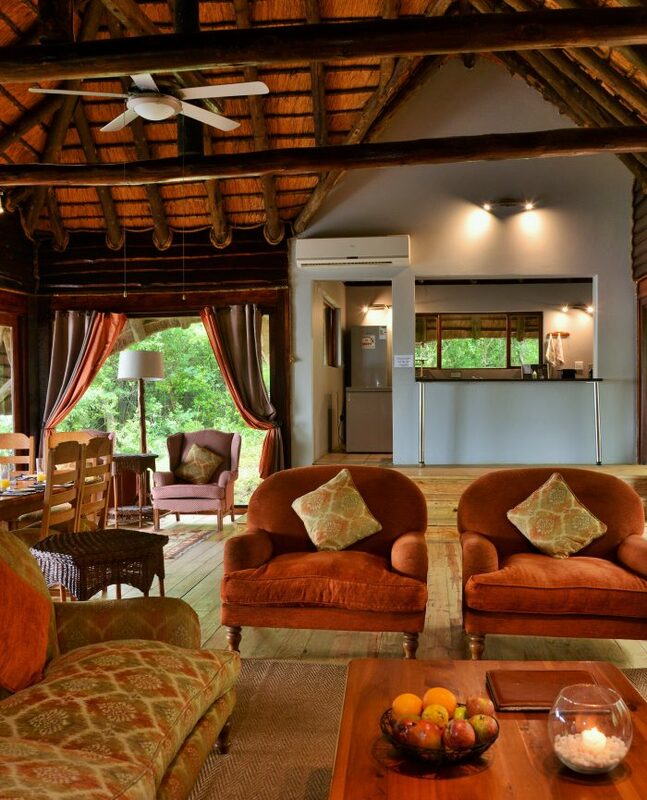 Connected to the main lodge by wooden walkways, each chalet enjoys a secluded location, and boasts unparalleled views of the iSimangaliso Wetlands Park. The ultimate in relaxation and rejuvenation, this Hluhluwe accommodation is a breath of fresh air along the Elephant Coast. The Lodge is made up of six double chalets, four twin chalets and a Honeymoon Suite with a panoramic lake view. Some of the units are freestanding, while some are configured side by side with inter-leading doors, which are perfect for small families or groups. The rooms offer scenic privacy, while simultaneously being completly immersed in nature. 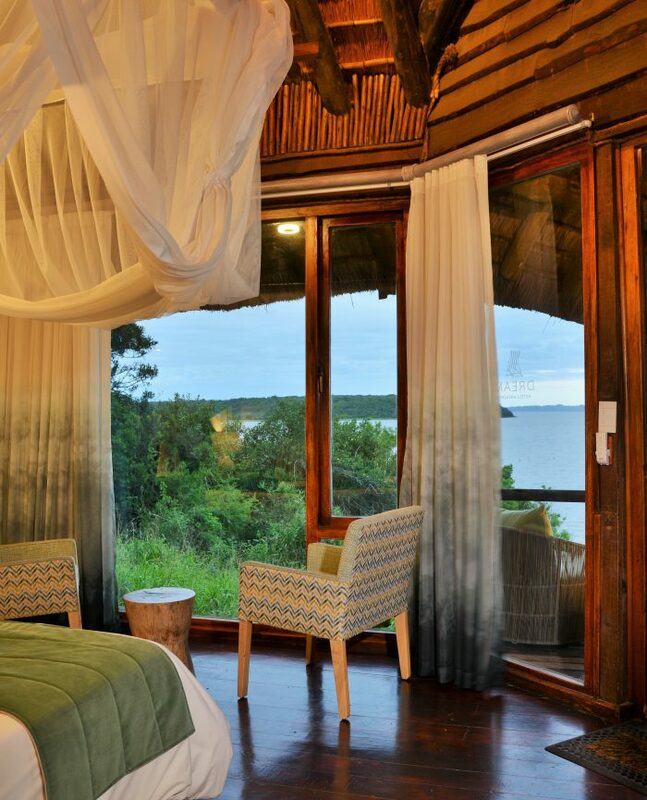 The floor-to-ceiling windows and large wooden deck invite nature indoors, and an authentic bush atmosphere is created effortlessly by the wooden floors and finishes. 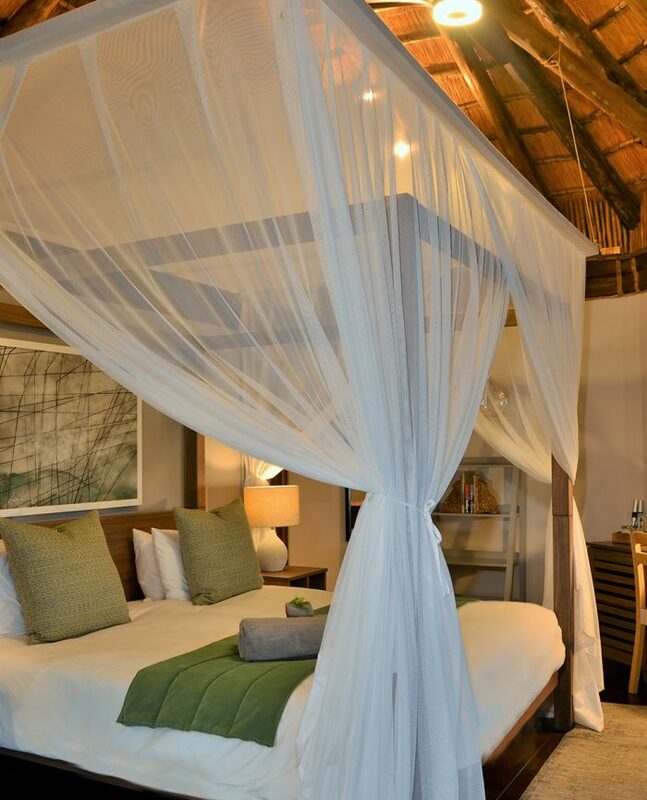 The neutral colour palette, large windows and high thatch ceilings work easily with the natural beauty of the surroundings to ensure the rooms feel airy and spacious. 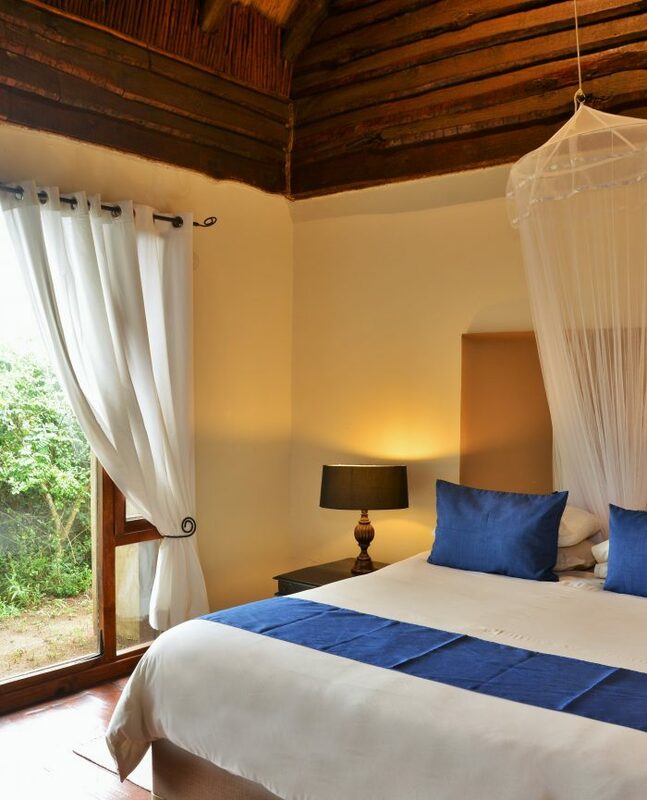 The luxurious double and twin beds are protected by elegantly draped mosquito nets, putting just enough distance between you and nature for an uninterrupted night’s sleep. The dressing-room is sectioned off to make a separate area, offering additional privacy within the suites, and each chalet is complete with an en suite bathroom, a large shower, and specialised amenities. Each unit comes equipped with a tea and coffee station so you can wake up to your very own Cup of Joe and a personal mini-bar, which can be stocked with your own personal choice of drinks at cost price, so you can enjoy sundowners on your private viewing deck whenever you please. 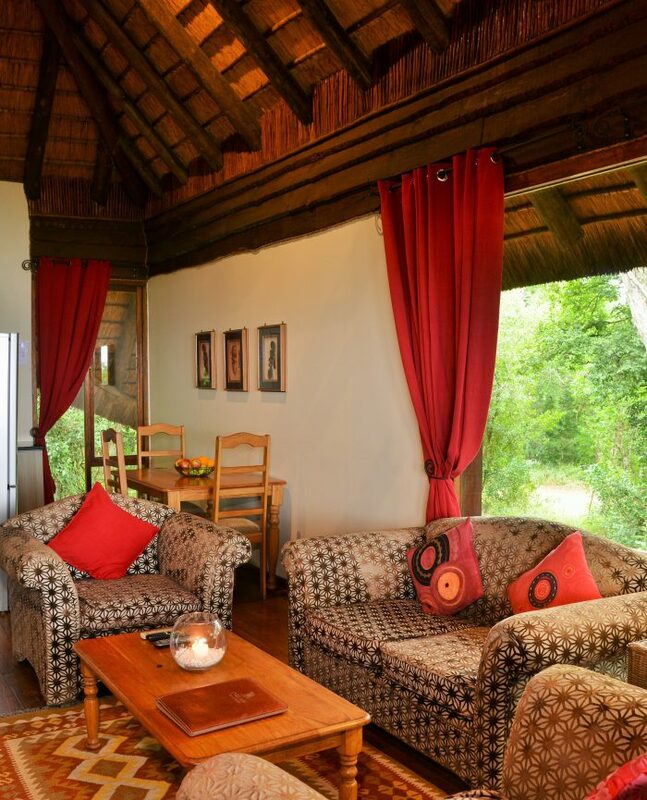 Get in touch to book your Hluhluwe accommodation with Nibela Lake Lodge, today!